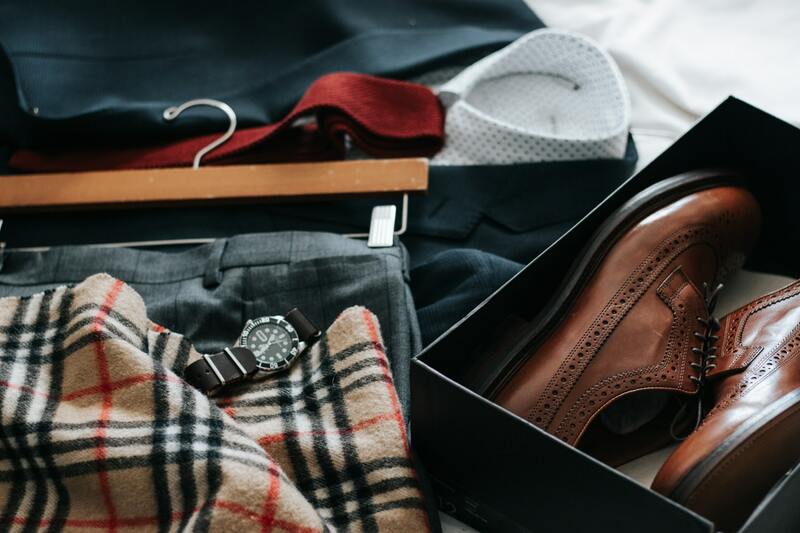 We all love dressing our partners, and you might have noticed a dress code on a wedding invitation, business event or even in their email for an interview offer — and they have no clue on how to nail the perfect look. The line can sometimes become blurred between too formal and too casual, so what should you have your partner wear on such occasions? When to go for ‘smart casual’? If your partner hasn’t been given any direction on which dress code to go for, it can be tough to decide what they should wear. Some offices and workplaces have ‘dress down Fridays’ or a casual dress code every day. However, it’s still nice for your partner to make an effort and look reasonably smart — even if this doesn’t involve a three-piece suit and tie. There will be some incidences when you’ll be asked to dress smart casual. At a dinner party for example, a men’s white shirt and tuxedo is not always expected but slack jeans and a T-shirt would be looked down upon. Or, for a first interview — it may specify casual in the email, but first impressions count and your outfit should still be carefully considered. Choosing a business casual outfit can be a safe option too. It avoids the error of looking like your partner doesn’t take pride in their appearance and prevents them feeling out of place by dressing too formally. If you’ve been invited to a smart casual event, you only need to invest in a few staple items to create the look. Strongly consider purchasing a blazer. It depends on your fashion preferences as to what sort of blazer you opt for — just choose one that you feel confident in and it will show. For men, n unstructured blazer is perfect for those who prefer a relaxed look and want to avoid a rigid and overly tailored shape. Some believe that these are more comfortable too, as they are without inner folds and allow you to move more freely. Navy is a good choice for a blazer as it is very versatile and not as formal as the traditional black jacket. As well as a suitable blazer, think about your footwear. Depending on your preferences, choose a pair of brogues or loafers to complete a smart casual look. Brogues are uber stylish and recognisable by their detailed leather uppers and thin laces. Loafers, on the other hand, are lower shoes so the ankle is exposed, they do not have laces and often have a low heel. They can be seen as less formal than the brogue because more of the foot is on show. In terms of colour, brown is a good colour to go for as it can be paired with denim or smart trousers, whereas black may be too dark to complement some colours. A decent pair of trousers are good to smarted up an outfit too. For men, a light pair of chinos are a good option for warmer weather, as they can brighten up their outfit whilst keeping them looking smart. If you think he’d feel more comfortable in jeans, try to choose a darker denim as this gives off a more formal vibe — just avoid distressed or ripped denim at all costs. An outfit that is suitable for this dress code involved a smart jumper. For the colder months especially, a roll-neck jumper is perfect for layering and looking smart. Pair a black wool roll-neck with a grey slim fit jacket and coloured pocket square to become the master of business casual. Match socks with the pocket square for co-ordination and wear a favourite pair of swanky trousers. Unfasten a few buttons on a smart shirt to dress it down slightly. An open collar shirt paired with a double-breasted jacket can create an ideal look for the fashion-conscious gentleman. Choose complementing colours for the shirt and blazer, such as different hues of blue or grey, to really make your outfit come together. Slip into tailored trousers, or jeans and pair with brogues to complete the look. You now should understand the smart casual dress code and have your partners outfit standing out from the rest. Of course, keeping your outfit neat and tidy is important too, so don’t let smaller details drop you into the ‘casual’ bracket.